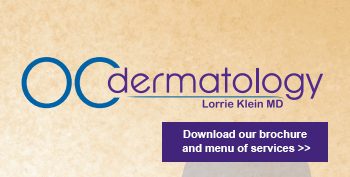 Dr. Lorrie Klein created the OC Lyft™ to address the concerns of many of her patients who, with age, are experiencing sagging, deflation and loss of definition of many areas of their face. The OC Lyft™ uses a comprehensive, cost-effective approach to create a natural, younger, more refreshed look. Utilizing Dr. Klein’s advanced techniques, multiple fillers are injected into upper, mid and lower face, in just one short visit! As of 2010 Dr. Klein has ranked as the #1 Juvederm and Voluma injector in Orange County, has achieved the prestigious Black Diamond aesthetic partnership with Allergan and has been ranked one of the top 50 physicians in the U.S. using Juvederm, Voluma and Botox. Dr. Klein is also a Juvederm, Voluma, Volbella, Vollure, Kybella & Botox trainer. What fillers will be used? Voluma is the product of choice to lift and shape cheeks, contour jawlines and chins and rejuvenate temple. Vollure, Juvederm Ultra & Juvederm Ultra Plus are used for correcting wrinkles, folds and may also be used to contour jawlines, chins and temples, fill in lower cheeks and enhance fuller lips. Restylane fillers are used for filling in under-eye circles and for thin-skinned, mobile areas. Volbella is used for lip lines, fine lines and enhancing small or thin lips. Treatments are scheduled for 60 minutes but may take less time. We use a cold spray which makes most treatments pain-free. Our goal is to get you the most improvement possible, without over-treating you. All treatments are customized specifically for you. If additional syringes are needed within 2 months of your OC Lyft™ treatment to “fine-tune” your results, all additional syringes will be charged at just 50% of their usual fee. injection, some common, temporary, injection-related reactions might occur: tenderness, redness, itching, bruising, bumps, pain or swelling. If any of these occur, they typically resolve within a few days. Occasionally they can last up to 7-10 days after lip injections. We recommend planning your treatments at least one week before any special events. Some minor swelling can sometimes persist up to several weeks after your treatment. This type of swelling only enhances your results by filling in the wrinkles and lips a little more than the product does. When the swelling completely disappears you may think the product is going away but it is only swelling that has disappeared. If you preferred how you looked with a little swelling, we can add more filler at a subsequent appointment. Take Arnica Montana pills starting 4 days prior to your treatment. Arnica patches will also be applied immediately after. Arnica Montana helps reduce bruising and swelling. Strong versions are available for purchase at our office. Let us know if you have a history of herpes (cold sores). We can prescribe a medication that will help prevent it. Apply cold packs for several minutes on and off for several hours after your treatment to help reduce swelling and bruising. Avoid makeup on the injection sites for 12 hours. Sleeping on 2 pillows the first night helps reduce lip and eye swelling.